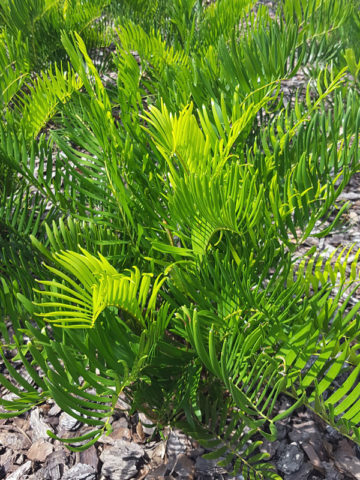 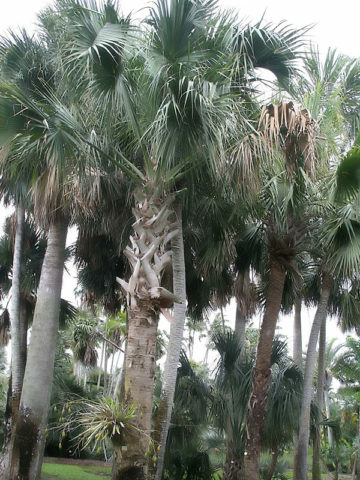 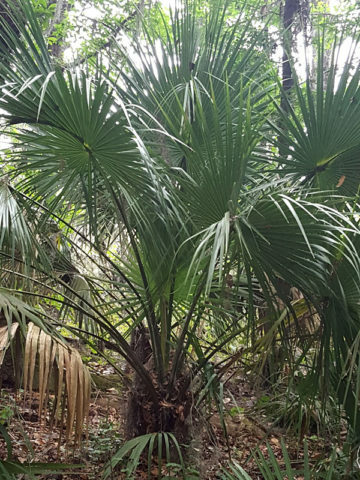 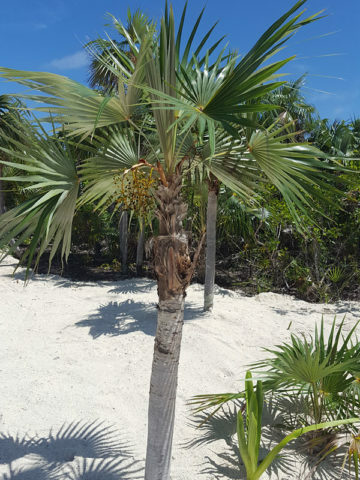 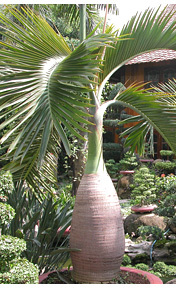 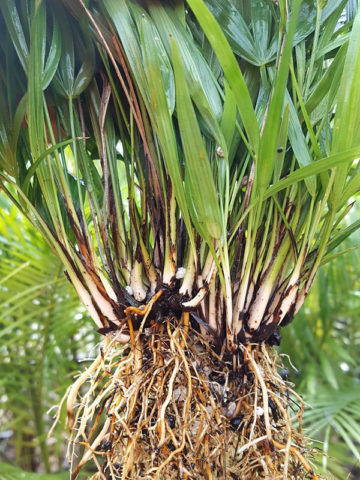 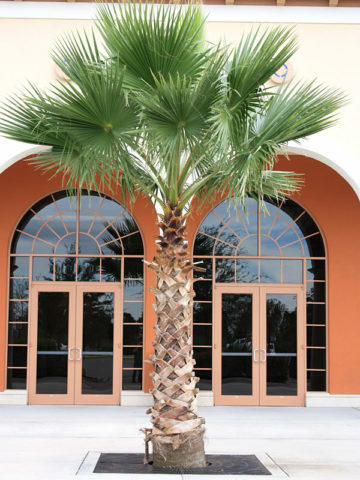 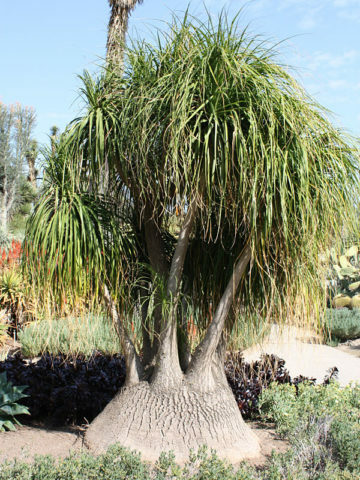 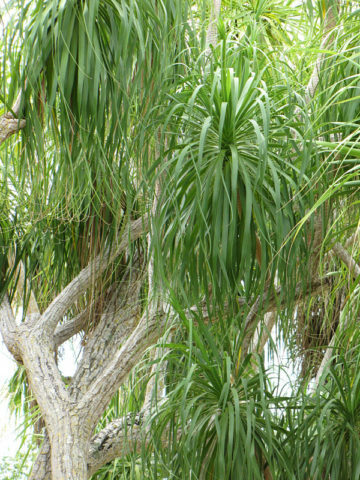 (XL Specimen, 8” Pot) An abundance of cascading fronds, this trunk-less palm uniquely produces all leaves and no actual visible trunk. 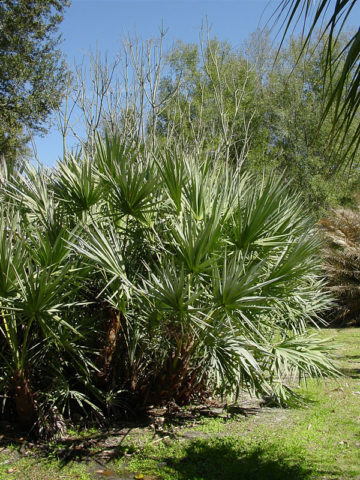 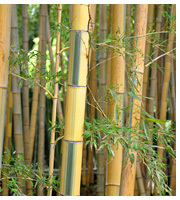 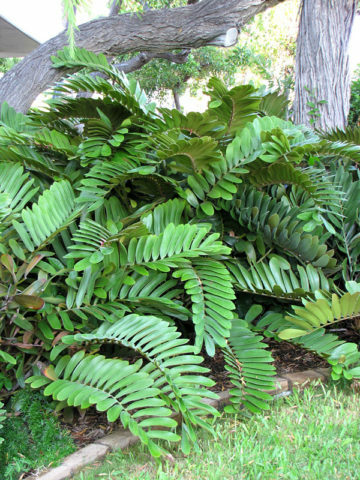 Dense thickets of wispy, feathery, green leaves grow to about 8 feet when full grown producing quite an elegant plant. 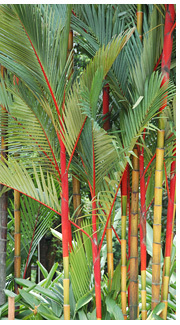 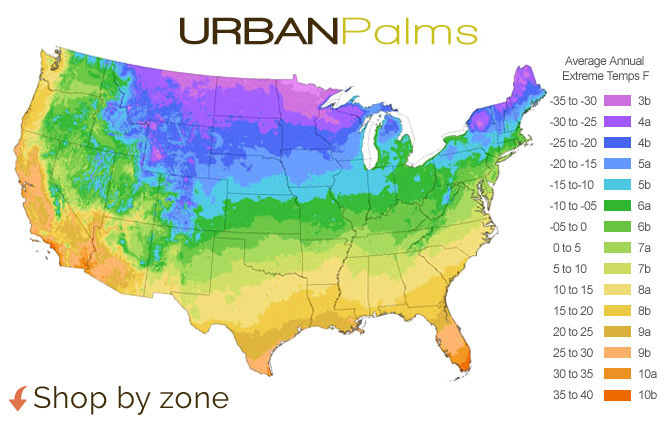 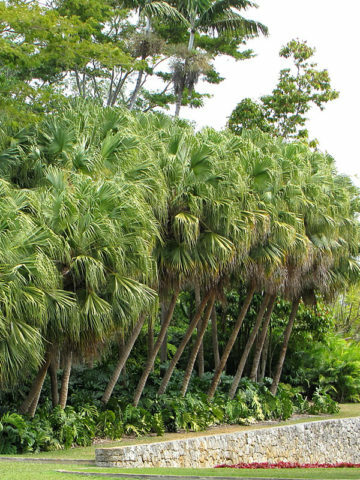 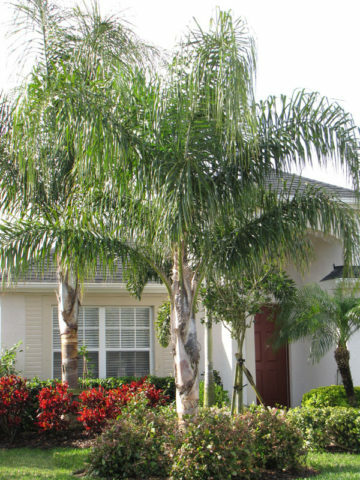 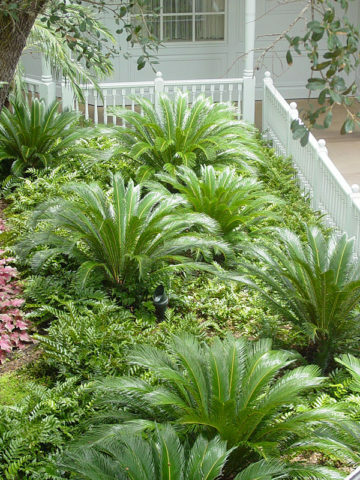 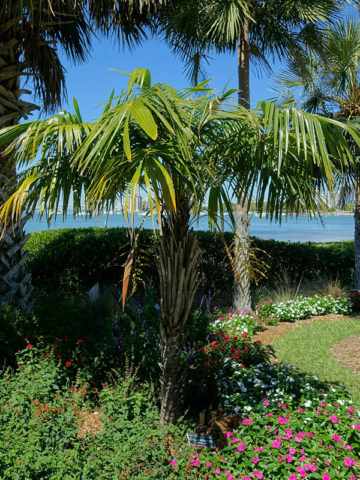 If you place these palms as close as 3 feet apart you can easily achieve a privacy screen or hedge. 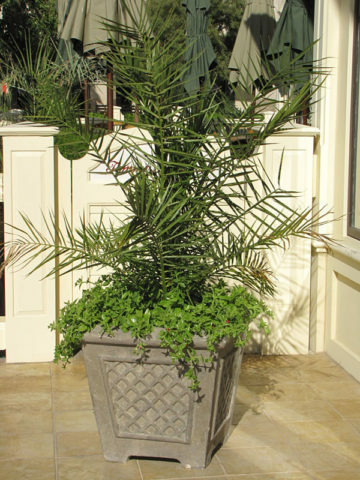 The Cat Palm adapts well to container growing for smaller garden spaces.